You may have a number of questions about the beliefs, practices and rituals of the Catholic Church. 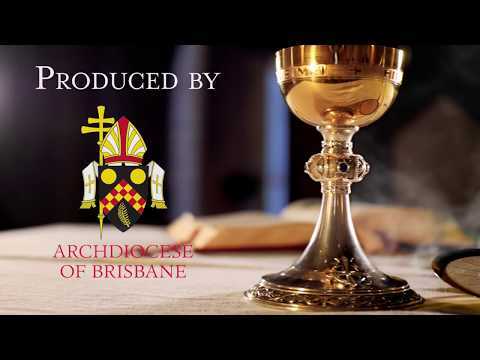 Be sure to have a look at our section on the beliefs and works of the Catholic Church in the Archdiocese of Brisbane for a series of fantastic videos looking at all aspects of Catholic life. Catholics believe that God exists in our world and if we seek to discover God, we will. One of the ways that we see God in the world is through the beauty and order of Nature. Catholics believe that an intelligence created the world. Consider the wonder of human birth. Could this have come about by chance? As we search for God we come to understand that God is the creator of all that is and that it is through this understanding that we gain knowledge of God in a range of life experiences. These may be in moments of connection or aha! moments when we are aware of mystery in our lives. Catholics believe that the purpose of life is to have life and have it more abundantly. For this reason we constantly try to love God with all our heart, mind and soul and our neighbour as ourselves. One reason for being is to learn to love ourselves and others as God loves us – enough to give over His own Son for the love of humankind. In this way we are gradually transformed into persons who can live and love like God does, becoming ready to live and love with God forever, which brings about an internal change and a conscious relationship with God. Faith is both a gift of God and a human act by which the believer gives personal adherence to God. It is to believe in something or someone, to fully trust and be so confident that you base your actions on what you believe. Faith in God then, is having the kind of trust and confidence in God that leads you to commit your whole life and soul to God. Our post-modern world challenges this faith in things unseen, instead positing that reality is only what can be experienced through the senses and verified by scientific processes. Denials of the existence of God and life after death are hallmarks of this contemporary rationalist philosophy. Instinctively, human beings know that there is more to life than briefly dancing across the stage of life. Christian faith asserts that there is a loving Creator who desires that our lives reach their ultimate fulfilment in eternity. Faith in God develops within one’s spirit and establishes a certain inner knowing that something is so before you see any material evidence. This spiritual knowing is of the heart and soul not merely the intellect. It is a call to do and say what you believe you are called to without doubting. Faith can bring ultimate blessings as well as challenges and difficulties. Catholics believe that the loving presence of God has been communicated to the world in an extraordinary and definitive way through the person of Jesus Christ. He lived over 2,000 years ago in Palestine and taught about the God’s love and plan for each and every person. Jesus was a Jew who lived in Nazareth before he began preaching a bold message that the Kingdom of God had come upon the earth. People experienced him as a person of extraordinary love, bringing healing, hope and forgiveness of sins to those he encountered. So great was his impact on the Jewish people of his day, that the religious and political leaders of his time felt threatened and had him put to death by crucifixion. His death devastated his small group of followers, but after three days, Jesus appeared to them, having been raised from the dead. They experienced his living presence in a whole new way. Their lives were transformed. They came to recognise Jesus as the Son of God, the ‘Christ’, God-with-us. While Jesus had said many times that he and the Father were one, it was not until after they experienced him as their risen Lord that they finally understood that God had been revealed to them in the person of Jesus. These followers of Jesus, came to be known as Christians, since they went about proclaiming that the Jesus whom they knew and loved, whom they had seen crucified and whom they met after he had risen from the dead was not only the one ‘anointed by God’ (Greek – Christos) to lead human beings to fullness of life, but was indeed the Son of God. Spirituality defines one’s whole way of life. As such, spirituality can be defined as a way of being, seeing and acting. What is distinctive about Christian spirituality is that is it a way of being, seeing and acting that has its source in, and takes its inspiration from, the person and vision of Jesus Christ. It is therefore a spirituality that has its source in our communion with God, and is forged in communion with others and with all of creation. It is a spirituality of relationships. Catholics understand the world as the meeting place between God’s purposes and human hopes. This view has that God’s Holy Spirit is already in the world and embraces the need to dialogue with all people of good will. These are features of a spirituality of communion and are vital aspects of the Church’s mission in the world. Deepen our understanding of the person and vision of Jesus Christ. Build Communion with God, our brothers and sisters within the Christian community and all people of good will. Engage in Christ’s Mission by bringing the Gospel alive in the everyday circumstances of our world. 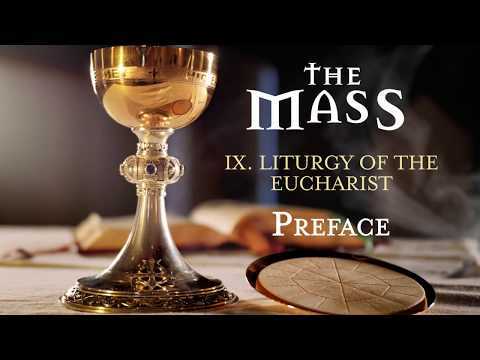 For questions about liturgy and prayer, you can search through Liturgy Brisbane’s Liturgy Lines. It has over 500 articles dealing with a great variety of topics related to how and why Catholics worship the ways they do. For questions about ethics and life issues, you can find a range of articles on the Queensland Bioethics Centre website. There are a series of fact sheets and articles that articulate the Catholic Church teaching on many contemporary bioethical and life issues. For questions about social justice issues you can find a range of topical and in-depth insights into issues of justice and peace confronting us in our world today at the Catholic Justice and Peace Commission website. For questions about Catholic beliefs, moral and practices you can find a series of videos in our Beliefs and works section. 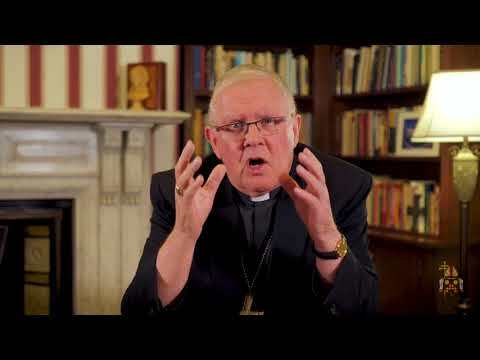 Additionally numerous articles explaining what Catholics believe and why they observe particular practices at the Catholic Enquiry Centre website. What is special about Mary? What is the relationship of Catholics with the Bible? What is happening to bring about Christian unity? What about drugs, tobacco and alcohol? What is the Church’s position on euthanasia? What is the church’s position on IVF? What does the Church say about organ donation? Why do we gather as the church on Sundays? Do I need to go to confession before I go to communion? Can I get married in a garden instead of a church? Can our daughter still be baptized if one of us isn’t Catholic? Is it true that Non-Catholics can now take communion in the Catholic Church? Who are the patron saints of Australia? There are many different expressions of Catholic spirituality that have developed over the past two thousand years. Many of these reflect the particular charism of founders of religious orders who developed their own unique way of approaching God in prayer and formed a unique way of living out the Gospel. Desert – is characterised by prayer in solitude, asceticism and a life of sacrifice. St Anthony of Egypt (251-356) lived a desert spirituality, which includes centering prayer, a form of meditation on a single, sacred word that draws one closer to God. Benedictine – is characterised by life in community, order and obedience to superiors. St Benedict (480-550) is considered to be the father of western monasticism. Lectio Divina, is a Benedictine prayer form based on reflection on the Word of God. More about Benedictine spirituality. Franciscan – is characterised by a life of poverty, love of nature and giving charity to those in need. St Francis (1182-1226) rejected all of his possessions and founded a community of friars who lived in poverty and helped the poor. Franciscan prayer rejoices in God’s presence in the wonder of creation. More about Franciscan spirituality. Dominican – is characterised by poverty, preaching and devotion to truth. St. Dominic (1170-1221) founded the Order of Preachers to help others to deepen their relationship with Christ. The Rosary is an example of Dominican spirituality since it focuses on the mysteries of Christ’s life and is a simple way of proclaiming the truths of the faith. More about Dominican spirituality. Ignatian – is characterised by examination of one’s life, discerning the will of God and living the Resurrection. St Ignatius of Loyola (1491-1556) founded the Society of Jesus to teach the Gospel message. The Spiritual Exercises are the Ignatian prayer form that focuses on this examination of conscience and the discernment of God’s action in one’s life. More about Ignatian spirituality. Carmelite – is characterised by interior detachment, silence, solitude and mystical experience. St John of the Cross (1542-1591) and St Teresa of Avila (1515-1582) were Carmelite mystics whose writings illuminate this spiritual pathway. The Dark Night of the Soul describes the need for the soul to be purified before entering into divine union with God. More about Carmelite spirituality. Josephite – is characterised by simplicity, perseverance and care for the poor. Saint Mary of the Cross MacKillop (1842-1909) developed a deep dependence and trust in God to carry out her many works of charity against great odds. Josephite prayer reflects this utter trust in God’s provision for what is needed to care for those in need. More about Saint Mary of the Cross MacKillop. See our section on prayer, renewal movements and faith groups for information on joining a contemporary faith group. We have dedicated an entire section to prayer. The central beliefs (teachings) which are a key to understanding the faith of the Catholic Church are contained in the Nicene Creed. The Creed is proclaimed by Catholics during their Sunday celebration Mass. As an integral part of the Sunday liturgy, The Creed is an affirmation of what Catholics and other Christians hold to be true. These core beliefs are grounded in the Christian Scriptures. The Creed is a lovesong in praise and thanksgiving for God who is the Trinity, Father, Son and Spirit. Everything done by God is done by the whole Trinity: yet there is something appropriate about attributing the work of creation to the Father, the work of salvation to the Son and the work of sanctification to the Holy Spirit. That is, as long as we ‘see’ the actions of each person of the Trinity in all actions with each other: a wonderful exuberant interconnection of love. Our Christian profession of faith begins with a radical assertion that God is one! So our belief is in continuity with the faith of the people of the Hebrew Scriptures. Belief in one God challenges us to acknowledge God as the author of all life and existence, the source of everything. Such belief calls forth a response of trust and hope in this one God and an attitude of praise and thanksgiving for the very gift of our own life, and indeed, all life. God’s invitation to respond to God’s gift of creative love draws humanity to a humble acceptance of all life as gift. It is also an invitation to refuse making other, or any ‘thing’ into a god. For example, the early Christians were characterised by their refusal to worship any power, including emperor worship, that was not the one God, even if it meant death. God as Father invites us into a profound and personal relationship with God. However through the life death and resurrection of Jesus, Christians have come to experience the loving intimacy of the Father and the Son through the gift of the Spirit. Astonishingly, as children of God, who, as it were put on Christ through baptism, we too are drawn deeply into this relationship – called to intimacy with the Father, such that together with Jesus through the Spirit, we can pray ‘Our Father’. When we use the title ‘Almighty’ we acknowledge God’s creative power, we assent that all strength and potency in the universe has its origin in God’s own power and creative will. We can but marvel and wonder that an all powerful God chose in generosity to give us such an important role, the better to serve God. ‘Maker of heaven and earth’ says that everything ‘seen and unseen’ owes it existence to the creative act of God. Creation ‘out of nothing’ invites our confession of faith because it is beyond our understanding, it is impossible for us to conceive of such a thing. Creation is an ongoing process and we are still awaiting its perfection in the fullness of time. It is the work of the one God for whenever God is acting, the whole Trinity (the Father, the Son and Spirit) is involved. Christians believe in a transcendent, personal God, who is one God but three equal persons who are a Trinity or communion of love. God delights in God’s people and sends the Son, so they might be saved and have the fullness of life. 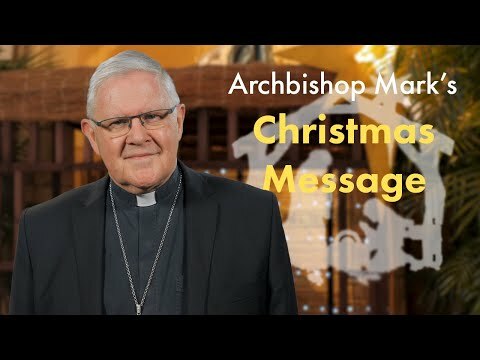 The second part of the Creed, names and speaks of the ‘human’ God – Jesus who is both human and divine – here is the mystery of the Incarnation – the Son of God is the Word made flesh, who dwells among us in the person of Jesus of Nazareth. Jesus, meaning the one who saves, is the revelation or sacrament of God’s love, mercy and salvation for all peoples. Within Jesus everything is contained: God, humanity, creation and salvation. When we pray in Jesus’ name we invoke His saving presence. This is the name that was given at the incarnation, pronounced at His birth, crucified on the Cross, risen from the dead and reigns for all eternity. ‘Eternally begotten of the Father … the only son of God … God from God… true God from true God….of one being with the Father….begotten not made ….through Him all things were made’ – these phrases speak of Jesus’ divinity. Many people today consider Jesus a great prophet, miracle worker or wise teacher, but cannot accept the Christian belief that Jesus is both divine and human. Yet Catholic belief coincides with the early Church Councils which stress that Jesus possessed all the attributes of God – having no beginning or ending, the Word of God made flesh in Jesus is ‘responsible’ for creation and shares the very essence of God. At the same time, Jesus’ humanity is attested through the narrative of his birth and his life in Palestine 2,000 years ago. Jesus has a particular human history. It was by the power of the Holy Spirit that Jesus took flesh in the womb of the Blessed Virgin Mary and Mary gave birth to a son, Jesus. Mary said ‘Yes’ to God’s invitation and through the gift of the Spirit she gave her assent to becoming Jesus’ mother, the Mother of God. Mary’s faith, itself a gift from God, sets her as a model of faith for all believers, demonstrating that nothing is impossible for God. Mary has a special place in the Catholic tradition as the Mother of Jesus. Jesus’ suffering, death, resurrection from the dead, ascension into heaven, his reign in glory and the promise of his return reveal the purpose of why God entered human history. Jesus’ life, suffering, death and resurrection was the means by which God shows His love for all humankind, all creation, and saves us from our sins as God opens to us the way to live with God in glory. The pattern of Jesus’ life provides a pathway for all believers to follow. The Incarnation is the central mystery of the Christian faith and distinguishes Christianity from other religions, since it reveals that God in the fullness of time sent His Son born of a woman to redeem us so that we could be adopted as sons and daughters of God (cf (Galatians 4:4,5) to share in an eternal destiny with our loving God. ‘When the Spirit of truth comes, he will guide you into all the truth (Jn16:12).’ The third section of the Creed affirms our faith in the Holy Spirit. It is God who gives life and when we confess that the Spirit is the ‘giver of life’ we recognise that the Spirit is God, like the Son and the Father. It is the same God who makes the universe, who comes among us a man, one like us, and who is continually present to the world. Creation and redemption are a single act, proceeding from a single God. Likewise the same Spirit which is involved in making the world, is also involved in remaking it. The Spirit gives life in the first place and also gives new life. As Jesus says of the Spirit: ‘He will glorify me, because he will take what is mine and declare it to you. All that the Father has is mine. For this reason I said that the Spirit will take what is mine and declare it to you. (Jn 16:14-15). The Holy Spirit ‘dwells’ in us and guides us. The Spirit is given to us so that we may not be left orphans. In the world, the Spirit, by its gifts inspires people to good and to speak as prophets ‘moved by the Spirit.’ We know that we are sharing in the new life of the Spirit when we exercise his gifts (cf. 1 Corinthians 12) and when we exhibit the fruits of the Spirit (cf Galatians 5:22,23) in our lives: a wonder to behold! This fourth and final section of the Creed describes the Church as one, holy, catholic and apostolic. The Church is a people gathered together through the Spirit of love, to reconcile the world in Christ and to bring all people into communion with each other and with the Father. A human institution, yes, but in its very humanity a God gathered people, the Church is the instrument, indeed the sacrament of God offering the gift of salvation won by Christ for all creation. The Church has an intrinsically missionary orientation as it seeks to serve humanity by proclaiming the Gospel in word and deed, to all people. The Church’s diversity and universality is a mark of her catholicity whereby she brings the whole wealth of human existence, in all its languages, to God. In the work of reconciliation the Church constantly strives to be a sign of unity and peace among all peoples and a witness of universal salvation in Christ under the one God. The apostolic nature of the Church means that it still participates in the same mission of Christ through the apostles, bishops and laity through their common baptism. We are all charged with the responsibility of being witnesses to the life, death and resurrection of Jesus Christ. Christian Baptism is the gateway or initiation rite that imprints the fundamental pattern of Christian life on the believer and welcomes the believer into the Christian community. Each baptised person clothes themselves in Jesus Christ and thus begins a journey from slavery to freedom, from death to life and from self-centredness to a generous loving existence. Baptism is birth into Christian life, incorporation into the life of the Trinity and liberation from sin. However, between our baptism and our death, we discover our human frailty and we know that we make many mistakes. Our life is indeed an ongoing struggle to accept the reality of our baptismal liberation from sin while at the same time very much aware of our propensity to failure and sin. Yet, we have faith and hope, and know that God ‘wins out’. Since we believe in the resurrection of Christ from the dead, we also believe that we will live for ever through our sharing in Christ’s resurrection. Through the Holy Spirit, Christian life on earth is a participation in the death and resurrection of Christ. We are united to Christ in baptism and so we already participate in the heavenly life of the risen Christ, but this life remains ‘hidden in Christ’ until that day when we rise on the last day and appear with Him in glory. The ultimate gift of the Incarnation is that God has revealed through Christ, that we will live forever in glory with God, when the Church attains its fulfilment in the communion of saints. This is the day that the Lord has made; let us rejoice and be glad! Alleluia! The Bible is a collection of 73 books, which were written by different people at different times and places over thousands of years. Catholics believe that the Bible is the Word of God. We believe that it is inspired – that God influenced the human writers in a special way so that the message contained within the various literary styles and forms (eg narrative history, prophesy, poetry, wisdom, letter, apocalyptic etc) conveys divine truth. The Bible conveys a rich treasury of understandings about God’s relationship with humanity and is our primary source for knowing most about the nature and characteristics of God. Although the Bible was formulated and recorded by human hands, it is understood as a ‘living word’ that cuts more finely than a two-edged sword and speaks into the lives of humans yesterday, today and tomorrow. Because it contains God’s truths, the Bible continues to have the power to change our lives for those who are open to drawing upon its wisdom. The Bible is divided into two parts called the Hebrew Scriptures, commonly known as the Old Testament, (46 books) and the New Testament (27 books). A testament or a covenant is an agreement, an understanding between two parties. The Hebrew Scriptures tell the story of God’s personal relationship, loving commitment and faithful promises to the Jews, the Chosen people of Israel. The Hebrew Scriptures was written by members of the Jewish community of faith who preceded the birth of Jesus and the Christian Church and, to this day, are an important part of its history. The New Testament is the story of the early Christian Church. It consists of the reflections of those who knew and accepted Jesus and entered into a renewed relationship with God. Its writings come to us as portraits of Jesus (the Gospels) and letters from the first Christians, eager to share the ‘good news’ that Jesus, who died and rose again is the Saviour of the world. Christians believe the Bible is the ‘word of God’ – the story of God’s loving plan for humankind. Catholics also speak of the Bible as ‘the Church’s book’. For Catholics, it reflects the life of a community and takes on its full meaning only in the life of the Catholic community, especially its prayer and liturgy. 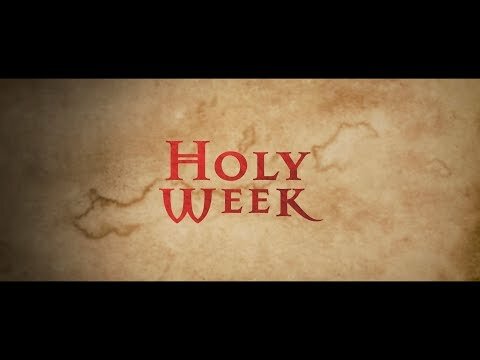 Catholics are encouraged to daily read, reflect and meditate on passages from the Bible, so that they can deepen their understanding of God’s action in history and in our world. The Bible, especially the Gospels, is a source of wisdom, prayer and inspiration for Catholics to live a life modeled on the example of Jesus. Catholics are a community made up of many different people united in a common bond of love. There are many different faces to the Catholic community. This is because the message of Jesus is for all people, everywhere. The word ‘catholic’ means ‘universal, all embracing’. We share a family-like bond that is based upon the spiritual bond of our common faith. Catholics believe in one loving and compassionate God who is with us in every moment of our existence. Being Catholic is a way of life in which we are united by our belief and our bond with each other. We believe that through the presence of the Holy Spirit we embody the living presence of Jesus Christ. This requires us to strive for unity in our everyday life in very practical ways such as: praying together, assisting others in times of struggle, resolving our differences with love and patience, celebrating and socialising together, sharing our gifts, skills and possessions with others. God also calls us to gather together in worship. The Mass is the central act of worship for Catholics. It is in the Mass that we celebrate that Jesus died for us and rose again. It is in the Mass that we believe that Jesus comes among his people once again. It is an important event for Catholics. The Catholic Community’s life of support for others is not restricted just to Catholics. It extends to the wider community. This may happen at a personal level wherever we show hospitality or friendship to others and it also happens through our church organisations which include: hospitals and clinics, schools, counselling clinics, missionary and relief agencies and organisations that care for the poor and homeless. Our social justice teachings motivate the way in which the Catholic community influences the wider society. The Church accepts the responsibility to work for peace and justice where people are oppressed by circumstances such as war, unjust social conditions or political persecution. Talk to someone who is a Catholic and ask them about their faith and its importance in their lives. Discover more about the Catholic Church on this website by looking at topics in our Catholic life section. Request a “Come & See” brochure that outlines the steps along the journey to becoming a Catholic. 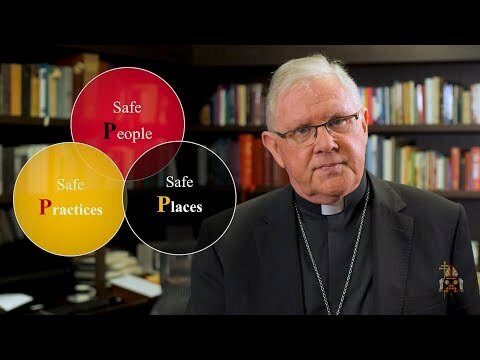 Contact the Catholic Enquiry Centre (based in Sydney) for a course of instruction that can be downloaded from their website or a hard copy can be posted out to enquirers. Contact a nearby Catholic parish and ask to speak to the Parish priest or parish staff or phone the parish office to make an appointment. Our Brisbane parish location page will help you. Local Catholic parishes hold enquiry sessions for those wanting to know more about the Catholic Church or who may be interested in becoming a Catholic. The process by which new members are brought into the Catholic Church is called the Rite of Christian Initiation of Adults, or the RCIA. It is best described as a journey of faith which passes through a number of different phases. Our Rite of Christian Initiation of Adults section will tell you more. 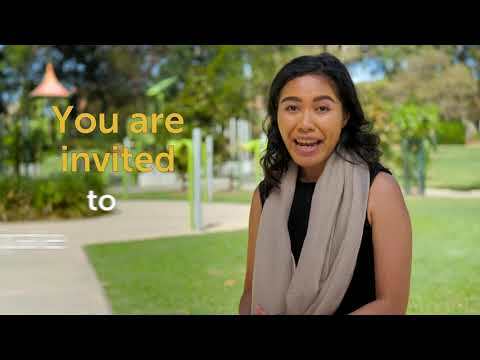 The RCIA journey provides the opportunity for you to discover more about the Catholic Faith and to discern whether you want to become a Catholic by being baptised or in the case of other baptised Christians by being received into the Catholic Church. For questions about Catholic beliefs, morals and practices you can find a series of videos in our Beliefs and works section. Additionally numerous articles explaining what Catholics believe and why they observe particular practices are found at the Catholic Enquiry Centre website.